On the hunt for new Honda vehicles for sale around Bronx, Yonkers and White Plains? 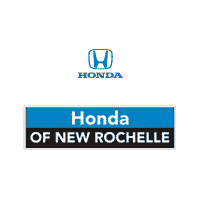 Then check out the extensive inventory of Honda models available at Honda of New Rochelle. Whether you’re looking for a new Honda Civic, new Honda Accord, or a Honda Fit to buy or lease, we have what you’re looking for at prices to compete. Stop by our dealership at 25 E Main St in New Rochelle, NY, call us at (914) 810-6828, or contact us online to set up some test-drives. Be sure to check out our dealer Honda specials and any national Honda offers and rebates too while you’re at it. Be sure to explore Honda Sensing!